This Raising Saints podcast episode aired November 17, 2016. This summer was busy as usual for our family, with various summer camps and visits to faraway family and friends, but it was a little extra busy this time because our new book came out — Caleb Shoemaker and I wrote Blueprints for the Little Church, and the book was released just as summer began. 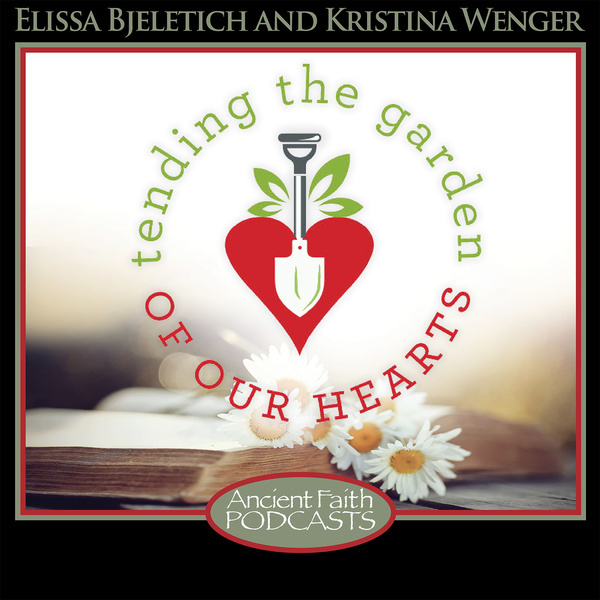 So we’ve been doing webinars and interviews and talking with people about the book — and here at Raising Saints, instead of the usual podcast episodes, we’ve been blessed with some wonderful guests who’ve allowed me to interview them. So Raising Saints has been rather conversational lately, and I like that. It’s good to get some other voices involved. In fact, we have a conversation coming up that will interest Raising Saints fans! Watch for it before Thanksgiving — Bobby Maddex will be interviewing Caleb and me; we’ll have a conversation about how Orthodox people in America do the Nativity Fast with our families and how we celebrate Christmas in our homes. We are at an interesting place in history, here in America. 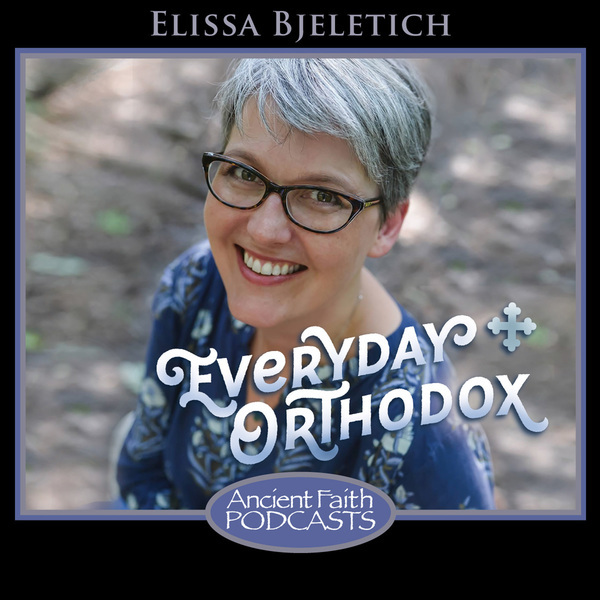 Orthodoxy has been an immigrant faith, brought here by communities of people who worshipped in their own language and who brought traditions from faraway homes. Now we have Orthodox people who have been American for generations, maybe Greek-American or Russian-American or Serbian-American, Syrian-Americans and Romanian-Americans – the grandchildren and great-grandchildren of immigrants, and we have new people coming into the faith from other traditions, converts embracing Orthodoxy. Now is the moment in our history when we develop the traditions that will become known as American Orthodox Christmas Tradition. What we work out now may become the gold standard for how Orthodox Americans celebrate Nativity in the centuries to come. 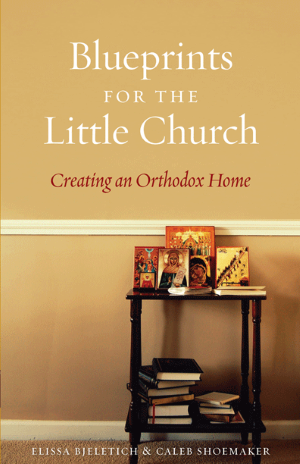 We’re building an American tradition of Orthodoxy. So we’re going to share ideas about what we are doing in our homes and what friends are doing in theirs, importing some traditions from other Orthodox nations and maybe adapting some American traditions that we love. Let’s gather and talk about what Christmas looks like in our homes, and what we can do to make sure that the Nativity of Jesus Christ is at the center of all of that joy. So join us for that, because it should be a great conversation. I’ve also been spending time developing teacher retreats. Just as the school year was beginning in September, I was able to go up to Dallas, Texas for a Pan-Orthodox Sunday School Teacher Retreat, and I just loved it. I always love getting a group of teachers together from different parishes, different jurisdictions, and talking about our mission in the Sunday School and in youth ministry, and how we communicate the faith to kids. We have a few more of those coming up, and I love all the people I’m meeting and the conversations we’re having. It’s been fun. I’ve also been working on some Sunday School curriculum materials. It’s not my project — a group of people are putting it together, and I have offered to help out a little. It’s given me an inside peek at this curriculum-in-progress, and I’m happy to say that you might really like it. We don’t have a lot of curriculum choices in Orthodox Sunday Schools, and I have to say that this new one looks really good to me. When its authors are ready to announce it, I’ll let you know on this podcast and will include links in the blog. The part of the curriculum I’ve been working on is all about the Old Testament. It is such an inspiring thing to study the Old Testament in depth, and in particular to fulfill that Orthodox challenge of looking at these old stories through the lens of Jesus Christ. The truth is that many of these stories from the Bible are so beautiful that if we tell them even in a boring way, kids are still engaged. They learn these historic tales, and that’s nice — history is good. Of course, understanding which prophets did what and when all of this happened, is really nice information to have, but our mission in Sunday school is not actually to impart information, and that may be a controversial statement in some circles but I feel it very strongly. One of the great differences between Western forms of Christianity — Roman Catholicism and the various Protestant denominations that grow out of that tradition or away from that tradition or however you want to say it — and our Eastern Church, is that in the West, theology is an intellectual pursuit. A theologian is one of thousands of human beings who have pursued information about the faith in a scholarly way. Surprisingly, there are theologians who teach in Divinity schools and departments of theology at universities around the world, who do not actually believe in God. They are just studying the history of religious thought, the teachings of the various famous scholars who have come before them. But in the East, a theologian is one who prays. We give the official title of theologian to just three people throughout history, because to us a theologian is someone who knows God — not someone who knows about God, but who experiences God. That is a very special title in Eastern Orthodoxy and it’s not a degree you can pick up in a few years at Oxford. The aim of our Sunday Schools and of all religious education, at home or in the parish, has to be carefully considered. Do we want to fill their heads with information, or is our true goal to touch their hearts, to awaken a love of Christ? Now, can we do both? Yes, absolutely. But giving students information is only done in service to inspiring and growing their faith in God. The primary task is to inspire that love and faith, and everything else is secondary. So if we teach Bible Stories like they are dusty old bits of history, that may work out fine. Someday when they are older or if they hear a really great sermon or if they pick up a really wonderful novel that plays on Old Testament themes, they may come to realize that that story they heard so many years ago has some really interesting dimensionality, and may have something to say to them in their lives today. But is there a way to teach that story, in a fascinating and dimensional way, right now? What if we try to teach these stories in a really interactive way? What if they can find themselves in the stories, reading them as the Church reads them. Because we don’t read history — we read holy texts that reveal Christ to us. We find Him literally in the story; the stories reveal Him to us. And of course, Christ really is there in the Old Testament, as much as in the Gospels — Christ is the Word, He creates us with the Father and the Holy spirit. He appears again and again as the angel of the Lord, delivering His people and teaching them. And we find Christ in other ways in the Old Testament — we find Him prefigured in the people of who populate the Old Testament. Various different prophets and people prefigure Christ; they are like metaphors for the ways in which He will save us and nourish us. And when we understand the Old Testament in that light, we gain some insight into our own salvation story. We find Christ in the Scriptures, and we find ourselves there as well, and we learn about the relationship between ourselves and Christ. Reading the Scriptures with those eyes is a skill we can develop, or you could even call it a habit that can be practiced. 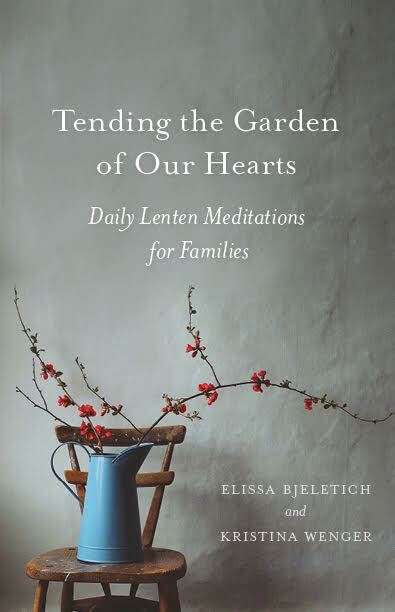 And so that is what we want to give our kids: stories that live inside of them, with real people whose actions and feelings resonate with our own, and whose lives illuminate something profound about who God is and who we are, how we approach God and how He cares for us. So as we begin the Nativity Fast, I thought it would be useful to start a short Old Testament series, just talking here and there about a few people who might show up on your Jesse Tree if you do those. If you don’t do Jesse Trees, you might consider borrowing a little from the concept. The idea is to read an Old Testament reading every day leading up to Nativity — just as God prepared humanity to receive Christ by reaching out through the prophets over those long years of the Old Testament, we prepare our families to receive Christ by considering those prophets. We tell the stories of the Old Testament, preparing ourselves for the birth of Christ just as God prepared the world. When I was studying literature, I especially loved a frame tale, and that concept is useful with the Bible. You see, the salvation story is really the whole story of the Bible, from Creation in Genesis — in which God creates us and places us in Paradise, and then we fall, and He comes for us. And indeed, the story doesn’t end with the Birth of Christ, or with His third day resurrection, but it really runs through the whole Bible to his Glorious Return, the Second Coming when all of the earth will be restored and redeemed, in the book of Revelations. The story of the Bible as a whole is our human history, the story of salvation. That’s the larger frame into which all of the Bible stories and the gospels are inset. Inside the frame, we can see that same story of our salvation played out again and again in a smaller way, in the smaller, inset stories within the Bible. A classic example of a frame tale would be Arabian Nights. You have one larger story being told: the lovely Shahrazad is telling stories to entertain her new husband, leaving him in suspense every night so that he will have to let her live another day; she prolongs her life by creating cliffhangers, and he keeps her around to hear the next installment. Inset into this larger tale are smaller stories, the stories she tells him every night. They are self-contained and complete stories in and of themselves, but they are even more interesting when you relate them back to the larger frame of Shahrazad. Within it are contained smaller stories which are interesting in and of themselves, and which also are microcosms of the larger story, relating back in beautiful ways to our salvation. For instance, the journey of the Israelites out of Egypt and to the Promised Land can be understood to be something like our journey from lawless sinfulness to the Paradise of the Kingdom of God. It’s a long journey, and there are difficulties and we make mistakes along the way, but God is always there watching out for us, bringing us back onto the path, providing miracles to keep us going. We can see in this specific story of one people’s journey, which works as a kind of analogy or metaphor for the larger journey of all humanity. And then we can zoom into that story, and look at it in another way. We can ask ourselves: What about me? Where am I in that wandering journey through the desert today? How am I personally like an Israelite right this second? Or today am I like Pharaoh, stubborn and unlistening, or am I Moses, struggling to keep my temper when the people won’t listen? First, at the level of the historical story itself: who are these people and what happened? Second, as a microcosm or a special view into the larger story of our creation and salvation: can we find Christ in this story? And finally, as a resource for insight into our own personal spiritual live: can we find ourselves in this story? That’s a lot — the Scriptures are the opposite of the flat historical tales we sometimes see. They function in all of these ways to shed so much light on the complexity of our God and His relationship with us. Now, how are we going to do this with a bunch of kids? First, we need to rip the stories out of the purely historical context. I have been looking to some history teachers lately for inspiration, and I have seen some really clever and interactive ways that they’re teaching history as a living thing ,instead of showing them dead words about dead people on dusty old papers. In our local middle school, I am seeing history teachers reenact Roman battles with their kids, having the students build weapons like the ones the Romans would build and asking them to master the kind of defensive testudo formations that the Romans used. On battle day, the kids are out there holding hand made shields and calling out testudo orders, while teachers and parents pelt them with deer corn. That’s an unforgettable lesson. Even as a parent, I have learned more about testudo formation than I ever learned when I was in school. We aren’t going to forget it, because we participated in it. We cannot underestimate the value of re-enactment. I also saw a PBS documentary on Lin Manuel Miranda’s Broadway musical hit, Hamilton, and throughout the whole thing I was thinking, this is how you bring history to life. I saw how he and the other actors are experiencing America’s founding fathers not as interesting historical figures, but as flesh and blood human beings with personalities, and flaws and dreams and challenges to overcome. Miranda put the story of these real human beings on stage, with popular music and compelling actors, and suddenly that period of American History is alive to people. We can think about new ways to bring the Scriptures to life for our kids. When we talk about the Temple in Jerusalem, we can find ourselves a big empty space and grab some masking tape and have them calculate the sizes of things, maybe at a 4:1 scale or a 10:1 scale. They can do the math, and they can tape out a map of the Temple on the floor or in a parking lot. Then they can stand in the holy of holies, they can examine the layout and come to understand how our church architecture developed from it. We can bring in a roll of butcher paper and have the kids draw a life-size Goliath on the wall! We used to have a Sunday School teacher in Austin named Teresa Shannon and she would do that every year. The kids always looked forward to it — they’d measure out a life-sized Goliath and draw his armor and hang him on the tallest wall. Then they’d face off in battle, with slingshots and foil balls. They’d see how big he was, how impressive and intimidating. They could imagine themselves in David’s position, and imagine the thoughts that went through his head. We can ask the kids to act out any of the stories that we teach, literally placing themselves into the perspective of the people involved. What if we let them write the scripts themselves, putting those thoughts and events into their own words? They could present it as a play — or what if it was a movie? We have one Sunday School class, lead by Steven & Diann Dow, where the kids put on puppet shows all the time. Steve and Diann record them on their iPad and play them back for the kids, and they love it. The kids tell the various stories of Scripture and of the Saint’s lives, interacting with the material and really getting to know the people in the stories. They take in the material so well this way! Our church was recently consecrated, so the relics of three martyrs were set into our altar. We asked our teens to tell the younger kids the stories of these martyrs. They did skits about the lives of St. Panteleimon and St. Kyrikos — but the third martyr, a holy father of Daou Pentelis, was a huge story to tell. It involved 179 monks and a ship full of pirates! So the kids got together and built a monastery in Minecraft. In that computer game — they created a monastery on a cliff, high above the water, and they built a pirate ship, and they recorded the movie by recording their computer screens and acting it out in Minecraft, telling the whole story of what happened to those holy monks. The younger kids were blown away when we projected this movie onto the wall. They loved to see this story told in a language that spoke to them, in Minecraft. It was pure joy to watch and a huge success. And of course, just regular old good storytelling brings a tale to life. There’s nothing wrong with just telling the story, especially if you have the gift of telling it in a compelling and exciting way. Ideally, a teacher can prepare by learning the story, reading it several times, and can then tell it from memory with emotion and gesticulation, reacting to it in a genuine way and bringing her audience right in. If we can make it captivating and memorable, and really honest, then we should do it. We do something called Holy House every year, and it is a lot of fun and involves the whole family. This year we acted out the story of the Israelites’ journey from slavery in Egypt to the Promised Land. My friend, Amity Garwood, coordinated it — she brought all of the kids into the action. 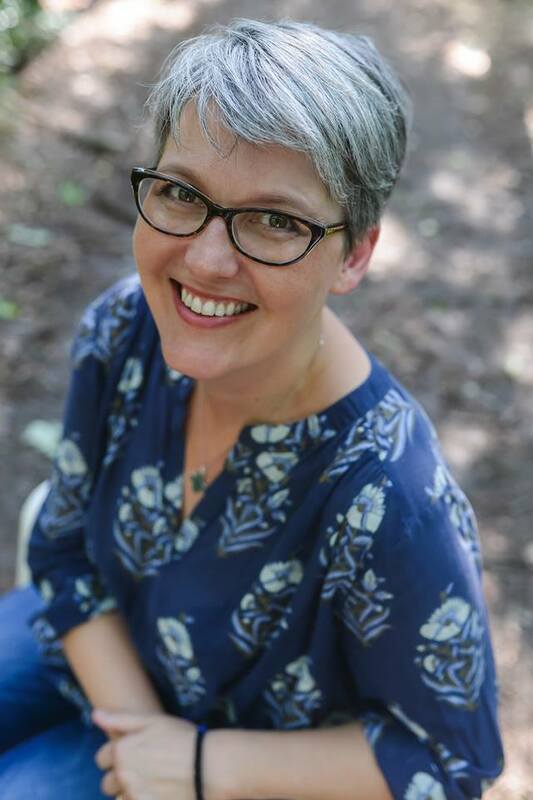 She wrote a script for the teens and gave them lead roles — Moses, Aaron, Pharaoh — and then she took the audience, our preschool and elementary-aged children and any parents standing nearby — and she made them the Israelite slaves. They all stood together in our fellowship hall, and the slavemasters cried out to them, forcing them to stack and unstack chairs. They were the slaves. They felt the unfairness of the situation — well, we made sure they did, because we planted to some Hebrew slaves among them to cry out about how unfair it all was! And when Moses saw that burning bush, and God told him it was time help lead the people to freedom, they were glad to see it. They cheered and booed as Moses and Pharaoh interacted; then they followed him to freedom, only to find that Pharaoh and his men had reneged on their promise and were coming for them. The two great blue bedsheets were parted — I mean, God opened the Red Sea, and they ran through. We put them into the position of Israelites, and let them see the various miracles God worked for His people. It was a really fun night, and the story was memorable and even though it felt a little chaotic and silly, in the end the kids really remembered the story, which is almost a miracle in itself. You can follow something like that with a big conversation about the meaning behind everything, or maybe not that night, but wait for next time — for Sunday School or for the next youth group meeting, and talk about the story itself, and then about how we saw Christ right there as the pillar of cloud and the pillar of fire, leading His people to safety, and about how we experience miracles and then forget to be grateful a week later when the next problem arises. This year we tried something else. We tried to get the parents to lead that conversation, because we know that real faith is not learned just in Sunday School or at youth group meetings. Yes, it is reinforced in the parish, but it needs to be happening in the home, so that the kids are receiving a truly lived faith that permeates their lives. Ask your kids to tell you the story that we enacted at today’s event. Listen to their version and their impressions. Ask what they think about everything they’ve seen and done today. Why did each person behave as they did? What did they think about these stories? What does this tell them about God? What does it tell them about human beings, and how we behave with one another and with God? The Scriptures are not just historical information; these stories are meant to help us understand our own lives, and our own journey. How can we see ourselves in the Israelites? How is our journey like their journey? Does God love us like He loved them? How can the Israelites help us explore and enlarge our own relationship with God? We tried to equip parents, who might feel like they aren’t sure where to begin, with a clear strategy. We offered a summary of the story we told, with some of the interpretation thrown in for them, so that they’d understand where to take it with their kids. And then we added a list of major points, the big themes that they’d want to bring up. We tried to keep balance — not so much information that it overwhelms, but just enough to equip and inspire. We got a lot of good feedback from parents, and I think we’ll do that again. I’d like to see Sunday School teachers send parents a handout like that; nothing fancy, but just a little note about what we’ve studied and some inspiration for a fruitful conversation that might follow. If you’re interested, I’ve posted the handout here, on the blog’s curriculum page. You’re welcome to use it in your own program if you find it helpful. With a little creativity, we can teach our children not just the Bible Stories themselves, but also we can help them develop the habit of finding Christ in the story, and of finding themselves there too. Knowing the stories is wonderful, but knowing how to use those stories to inform and inspire our own lives, is a much greater gift.